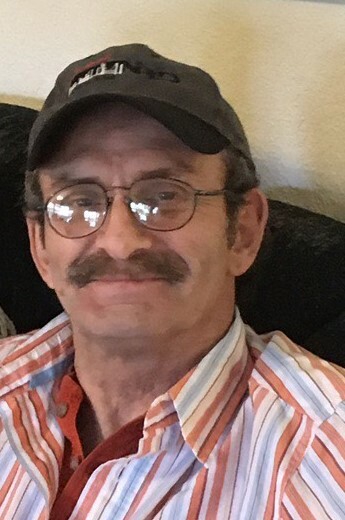 Randy Peavy age 59, of Broken Bow, Oklahoma passed from this life on Wednesday, February 6, 2019 in Idabel, Oklahoma. Randy was born on March 20, 1959 in Broken Bow, Oklahoma the son of Robert and Johnie ”Pat” Peavy. He went to Broken Bow High School where he was on the track team and entered the pole-vaulting team. He served in the US Navy and was a welder. He enjoyed fishing, hunting, camping. He was an avid photographer and did mechanic work on cars and motorcycles. Randy was a member of the Oak Grove Baptist Church. Randy is preceded in death by his Paternal and Maternal grandparents. Randy leaves to cherish his memory his parents, Robert and Johnie “Pat” Peavy of Broken Bow, Oklahoma; brother, Kirt Peavy of Broken Bow, Oklahoma; sisters, Laura Deramus and husband John of McAlester, Oklahoma, Tonia Parker and husband Doyle of Round Rock, Texas, Judy Peavy of McAlester, Oklahoma and Dana Willingham and husband Russell of Broken Bow, Oklahoma and Bradley Pannell who had a special place in Randy's heart and a host of aunt's and uncle's and other relatives and friends. A visitation for family and friends will be held on Thursday, February 7, 2019 at Bunch-Singleton Funeral Home Chapel from 6:00 to 7:30 P.M.
A Graveside Service will be held on Friday, February 8, 2019 at 10:00 A.M. at Broken Bow Cemetery in Broken Bow, Oklahoma.